There is growing resistance from law enforcement professionals to enforce provisions of a restrictive gun control initiative passed by 59 percent of voters last fall in Washington State, and now at least one county commission has adopted a resolution opposing enforcement of Initiative 1639, which raised the legal age for purchasing a semiautomatic rifle from 18 to 21. In addition to Songer, sheriffs in Franklin and Yakima counties have declared that the new law will not be enforced by their agencies, according to published reports. 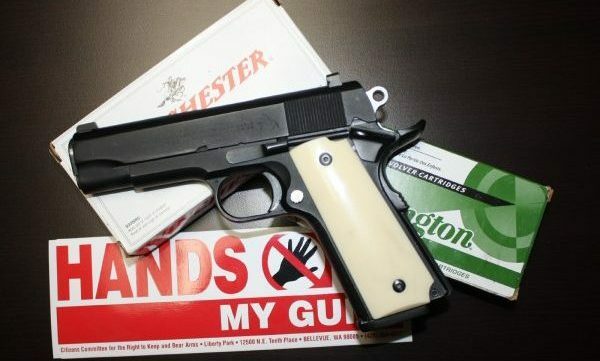 A few other county sheriffs have indicated that enforcement of the measure, which also requires proof of training, a 10-day waiting period, a so-called “enhanced background check” and registration, among the many provisions. UPDATE: Benton County Sheriff Jerry Hatcher announced Wednesday that he will also not be enforcing provisions of I-1639, according to a report in the YakTriNews. Loren Culp, police chief in Republic, the only incorporated city in Ferry County, and the county seat, has also announced he will not enforce I-1639. The Cowlitz County Commission passed a resolution for non-enforcement. Last fall, when the Washington State Law Enforcement Firearms Instructors’ Association (WSLEFIA) opposed the initiative, they likened the training requirement to an unconstitutional “literacy test” such as the ones used in the 1950s to disenfranchise black voters in the South. WSLEFIA was joined in its opposition by the Washington State Patrol Troopers Association (WSPTA), Washington State Sheriffs Association (WSSA), Washington Council of Police & Sheriffs (WACOPS) and Cowlitz County Deputies and Sergeant’s Guild. Still, the overwhelming law enforcement opposition was downplayed by Seattle-area media. But with that level of opposition during the campaign, it is probably not surprising to rights activists that some top lawmen are now vowing to ignore the law. The initiative is being challenged in federal court by the National Rifle Association and Second Amendment Foundation. Interestingly, when their opposition comes up in debate on social media, people who insist that the law must be enforced are reminded – and challenged – that Seattle and other cities have declared themselves to be “sanctuary cities” wherein there is little if any cooperation with Immigration and Customs Enforcement personnel regarding the immigration status of criminal suspects. The initiative passed in only 12 of the state’s 39 counties, but those few counties have the largest populations, and are primarily around the Puget Sound Basin with the exception of Spokane and Whitman counties, and Clark County on the Columbia River.